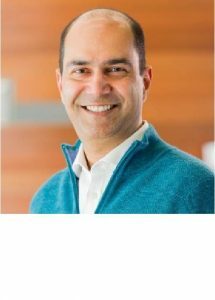 Amit Mohindra is founder and CEO of Nelson Touch Consulting, a people strategy and analytics advisory firm celebrating its tenth anniversary. Amit has built and led People Analytics teams at a number of companies, including Apple and McKesson (a Fortune 6 global healthcare company). He is an electrical engineer and labor economist by training. Amit started his professional career as an economist at The World Bank, researching labor market outcomes for women in developing countries. He has worked in business consulting and corporate HR for organizations such as Goldman Sachs, IBM, Lucent Technologies (now part of Nokia) and Willis Towers Watson. He has had global leadership roles in rewards, talent management, M&A, operations, mobility and inclusion/diversity. Amit enjoys teaching and helping people succeed. He teaches Introduction to Human Capital Analytics at UC Berkeley and is a guest lecturer in People Analytics at the Haas School of Business at UC Berkeley and the School of Industrial and Labor Relations at Cornell University. He delivers Succeed in People Analytics workshops around the world and provides executive coaching to HR leaders and People Analytics practitioners. Amit is based in the San Francisco Bay area. I got hooked young. You could say that I’ve been involved in analytics since high school! I studied physics, chemistry, math and economics for the International Baccalaureate, but after receiving undergraduate degrees in electrical engineering and economics I decided to focus on applied labor micro-econometrics at the post-graduate level. That means I work with data and models and study workers and firms, not the macro-economy. It seemed to me that all factors of production except labor had been mostly figured out and that there were many things to be understood about the labor and world of work. I worked as a compensation consultant for a while but then had the opportunity to start a new group at Lehman Brothers: HR Strategy and Analysis. In those days, the word “analytics” hadn’t gained currency. My whole career has been about applying math and science to understand and manage individuals, teams and organizations. Even when I was not in a formal analytics role in HR, I always “wondered why” and applied analytics – logic, math, statistics, systems thinking, etc. – in whatever I did, whether it was compensation, benefits, talent management, HR operations, mobility, HR M&A or diversity & inclusion. And I’d have to say that this analytical approach fueled my career progress. I started out as an economist at The World Bank in Washington, DC studying labor market outcomes for women in developing countries and the subsequent impact on household welfare and child health. When my fiancée moved to New York, I found a job as a Compensation Consultant at Towers Perrin (now Willis Towers Watson). Compensation, once I had figured out what it was, seemed to me the most numerate function on the people side of business. I’ve been in HR ever since–over 20 years–either in corporate or the field. After the 2008 financial crisis I launched an independent consulting business to advise clients–typically CEOs and CHROs–strategy, incentives and analytics. One of my IBM roles was in consulting, too, in business transformation and outsourcing. I find HR to be what I call a “target-rich environment” since people and people costs are such an important part of business and there are so many opportunities for doing things better. Also, the field is evolving quickly and drawing in people from different backgrounds who bring with them new ways of thinking, new tools and approaches and new solutions. I believe we are in a “Golden Age” of People Analytics. I’ve been in the people business long enough to remember when there were no analytics being applied outside of compensation and benefits. It was a huge struggle to introduce analytics within HR. There were very few people with quantitative training and there was no community of practice to provide encouragement and share best practices. The HR technology solutions were muddled and didn’t offer analytics. Other than a required–and often loathed–course in statistics, there was no emphasis on analytics at schools granting HR certificates and degrees. We’ve come a really long way and are well into the exponential part of the growth curve. Companies of all sizes have started People Analytics teams; thousands of people analytics roles have been created; schools – even Harvard Business School – are teaching People Analytics; there are hundreds of conferences a year; and there is a growing practitioner-accessible literature and body of knowledge. Most importantly, teams are delivering measurable results that in turn fuel further interest and investment. It is a snowball effect for sure. There are a whole bunch of challenges that practitioners face that for a long time comprised the main theme of early People Analytics conferences – mostly “woe is me…the data are so bad.” I’ve always maintained that the math and science are the easy part of the job: developing models, doing the calculations and squeezing out the insights. Getting people to act on the insights has always been the most frustrating aspect of People Analytics. What I’ve spent the most time on recently is figuring out how to get out of the “arms” business–arming decision makers with data-driven insights–and how to actually get into the fray and take action. As such, I would characterize the main challenges facing People Analytics teams as belief, budget and bravery. Despite the hype–or perhaps because of it–we often need to justify the reason for our existence. This can consume valuable time and energy and the only way to move forward is to establish wins and credibility. But then you often still face the challenge of getting enough budget for what you need to accomplish. HR budgets are always tight and upstart organizations new to the function with leaders new to the organization have a hard time getting their fair share. This is why focusing on the right projects early on is vital; without proven results a business case remains just that. And ultimately it comes down to bravery. The courage of People Analytics to keep pushing forward despite the obstacles and more importantly, the courage of HR leaders to use the analytics to drive necessary change. In my experience, the shortest path to increasing influence is through Finance. In most companies, Finance measures headcount growth and workforce cost and is accountable for planning. The CFO also has the ear of the CEO and the executive leadership team. People Analytics must often take the lead in establishing a trusted partnership with Finance by simplifying the measurement of headcount and workforce cost. Essentially, bridging between FTE and headcount figures and between cost center and manager hierarchies so that there is no confusion about organizational views and counts. The quicker you eliminate the need for armies of workers to reconcile numbers and move them between different systems, the better. It provides tangible evidence of how discipline and diligence around analysis related to HR can yield savings and help manage cost. Save time and money and make life easier? You are BFF with Finance. And that’s how it should be; I’ve always said that HR and Finance “complete each other,” especially in the vital task of workforce planning. This is a question about the evolution of People Analytics. Early on it is vital for People Analytics to lie within HR. In my opinion, the best place within HR is as a direct report into the CHRO. The worst place is within HR technology or the corporate technology department. Wherever it sits in HR, the advantage is that you have context related to caring about people and making people decisions with heart while (hopefully) relying on proven axioms of workforce science. The weak links are a dearth of analytical skill, lack of comfort and expertise around technology and typically low credibility with the business. On the flip side, a corporate analytics team is strong in analytics skill and technology and has credibility with the business – especially in analytically oriented businesses (and most successful businesses are). The question then becomes who evolves faster? Does People Analytics become equally adept analytically and start addressing general business problems or does corporate analytics get savvier about workforce science and people related issues? The race is on. My money is on People Analytics. We are bringing in people from outside HR while very few corporate analytics teams will deign to hire HR analysts. People Analytics leaders should strive to make their team members strong candidates for general analytics roles. The Golden Age will continue apace. We need to pay a lot more attention to privacy, artificial intelligence and welfare. GDPR has been a catalyst for focus on privacy and the rights of employees related to their data and how they are used. If the data have value, how should that value be shared? Ownership rights around data, even responses to surveys, will start to get formalized. HR has been very slow in getting serious about artificial intelligence. Here is an example of people from outside HR with expertise in artificial intelligence realizing how they can unlock the latent value in organizations’ human capital. Most HR-related AI startups are founded by and staffed with people with no background in HR. Machine learning and natural language processing reveal data insights for better people decisions and robotic process automation replaces repetitive, time-consuming tasks for the overwhelmed employee. Organizations will start paying more attention to welfare. This is not just about optimizing employee well-being through benefits and wellness programs. There is a moral dimension to People Analytics’ work. We need to ensure that every voice is heard and that no individual or group is left behind. Inclusion and diversity are important aspects, but also career variety and velocity and happiness. Yes, happiness. Let’s remember it is a fundamental right in the United States’ declaration of independence. This could be a very long list indeed! I realize now how clueless I was coming to HR from an academic background, not understanding how organizations work and expecting everyone to be rational and well-meaning. My advice would be as follows, in no particular order. (1) it’s not just about the numbers: people don’t change when they see the light; they change when they feel the heat. (2) Everyone has an agenda. Invest time in figuring these out and address the “what’s in it for me” angle. And don’t beat yourself up over it; after all, the success of the free market is based on everyone acting in their own self-interest. (3) Don’t be in such a tearing hurry; change takes time and you need to bring people along with you and not alienate them. (4) Choose your team carefully and your manager even more carefully. Don’t waste your time in an organization if your management does not have your back. Look for commitment–e.g., putting money where their mouth is–and courage. Choose a team with complementary skills and ensure that each member is committed to the success of each of their teammates. I’ve certainly been through the people analytics wars with scars from many skirmishes. I have worked my way up from the trenches to General Headquarters. My wish now is to help people rise to the top of the profession – thereby advancing the cause of People Analytics – without having to go through the same slog that I did. This is the premise behind the “Succeed in People Analytics” seminars and individualized executive coaching I offer to HR and People Analytics practitioners.